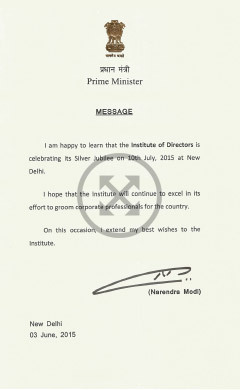 Established in India on 12 July 1990, the Institute Of Directors (IOD) is an apex national association of Corporate Directors under the India's 'Societies Registration Act XXI of 1860'. Currently it is associated with over 30,000 senior executives from Govt, PSU and Private organizations of India and abroad. 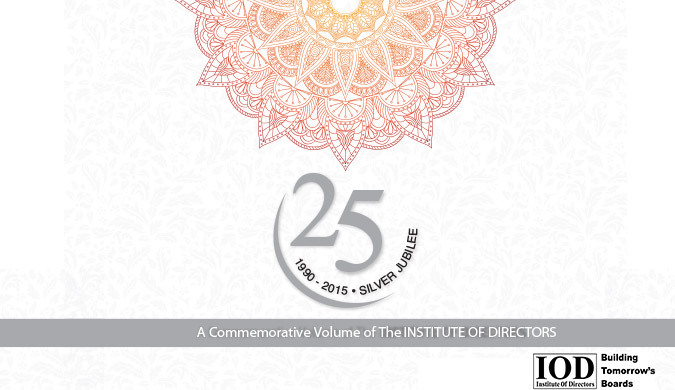 Institute of Directors, India is committed to its endeavour of building boards of the future. The IOD, India's activities extend from Boardroom Trainings, Researches, Publications, Board Advisory Services, Monthly Lectures to Workshops and networking of Members, Directors and Global Leaders through various National & International Conventions and platforms to debate the issues of topical interest., held in India, and abroad. The IOD, India's 'Masterclass for Directors' covers training in Corporate Directorship, and 'Golden Peacock Awards' in 14 different corporate disciplines, both have become global benchmarks. IOD has also setup a special wing called 'Organization for Non-Executive Independent Directors' (ONEID), mandated to look after the placement of Independent Directors in India.